World Food Day will take place on the 16th October and is a day dedicated to tackling global hunger. The event was created by the Food and Agriculture Organization (FAO) of the United Nations to promote awareness of those suffering from food poverty. According to estimates from the FAO, 815 million people worldwide live with chronic hunger –equating to 10.7% of the population. Globally, over 150 million children are thought to have had their growth stunted due to lack of food. Over 40% of these children were found to live in Africa. However, food poverty and malnutrition is not only happening in third world countries. There’s an increasing number of food banks whose services provide a vital stop-gap for families struggling in the UK. An analysis by anti-poverty charity The Trussell Trust found that, between the 1st April 2016 and the 31st March 2017, their network provided over 1.1 million emergency food parcels to people in crisis. 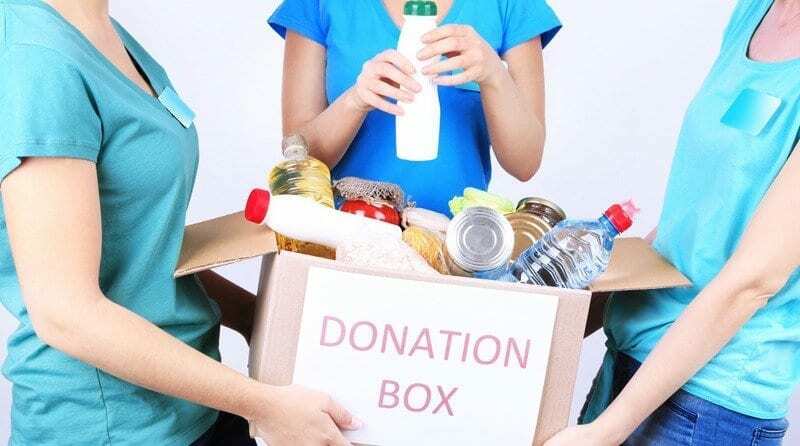 When this analysis was broken down into different regions, the North West of England was found to have the most demand for food bank services, with 174,489 3-day emergency supplies given out over the 1-year period. Data compiled from the Trussell Trust also revealed that the biggest cause of families being referred to a food bank was benefit delays and changes, which accounts for 43% of all referrals. Cut out a variety of food images from magazines and let each child have a piece of paper. Label it ‘Foods we are thankful for’. Ask children to choose their favourite foods to stick to the paper, as well as foods that make their bodies healthy and strong. Open up a conversation about how children would feel if they were hungry all day and ask “What should we do if someone doesn’t have enough food?” The children’s ideas can act as a great starting point to think of ways to support people suffering from food poverty in the run-up to World Food Day. Find out how you and your setting can get involved to help stop UK hunger by visiting The Trussell Trust’s website.